Here's a list of some ongoing volunteer opportunities happening in our community. Want to help Sacramento Food Bank & Family Services make an impact? Our warehouse is always looking for volunteers to help sort donations, package food and bag produce. This is the first step in our process to feeding Sacramento, come and help put food on the table for families and individuals in our community! You must first attend a volunteer orientation before you can volunteer for an available shift We have opportunities Monday-Friday 9am-12pm, Tuesdays and Thursdays 4-7pm and Wednesdays and Fridays 1-4pm. There is always lots to do, so let's get started! Once you express interest in this event, you will be contacted with a schedule of our upcoming volunteer orientations. We offer volunteer orientation 4 - 5 times per month. We look forward to having you volunteer with us! If you are interested in booking a GROUP volunteer opportunity, please e-mail Matt at mpruitt@sacramentofoodbank.org. Come and help the Developmental Disabilities Service Organization (DDSO) host BINGO evenings, one day a week, from 4:30-10pm for one month minimum. We could use assistance with: - Registration - Set up - Clean up - Runners to help out with selling drinks and tickets, etc. Depending on the position, times can vary. Set-up begins at 4:30, and the games begin at 6pm. All proceeds benefit the adults with disabilities that we serve! Our food bank could use your help! The food bank is heavily utilized, which often makes it difficult for staff to transport, move and distribute alone. Join us and roll up your sleeves to organize and help with food pick-up and delivery. Help those in need access healthy food. Volunteers like you make it possible! Last wednesday of every month: 8:30 a.m. - 9:30 a.m. Mercy Housing California at ArdenAire is an affordable housing community serving 53 households in Sacramento, California. Our food bank could use your help with distributing FREE healthy food to the residents of Lance Apartments. Our monthly food bank is well utilized and we could use some extra hands. Join us and roll up your sleeves to help with set up, distribution and breakdown. Help those in need access healthy food. Volunteers like you make it possible! Every 4th Thursday: 1:30 p.m. - 2:30 p.m. Mercy Housing California at Lance Apartments is an affordable housing community serving 75 families in Carmichael, California. Our food bank could use your help! The food bank is heavily utilized, which often makes it difficult for staff to transport, move and distribute alone. Join us and roll up your sleeves to organize and help with food pick-up and delivery. Help those in need access healthy food. Volunteers like you make it possible! Every 4th Thursday of the month: 9 a.m. - 10:30 a.m. Mercy Housing California at Lance Apartments is an affordable housing community serving 75 families in Carmichael, California. Our food bank could use your help with picking up food from a distribution site and helping to deliver and distribute it to the residents of Crossroad Gardens. Our monthly food bank is well utilized and we could use some extra hands. Join us and roll up your sleeves to help with set up, distribution and breakdown. Help those in need access healthy food. Volunteers like you make it possible! Every 4th Thursday of the month: 10:30 a.m. - 12:00 p.m. Mercy Housing California at Carter Terrace is an affordable housing community serving 70 families in Sacramento, California. Yolo Food Bank needs your help to distribute food to those in need! Every Friday morning, Yolo Food Bank partners with Celebration Center Church to host a food distribution that reaches 250 - 300 individuals every week. We need your help to sort and inspect thr produce before it is given out. The distribution has a unique "farmers market feel" and allows the opportunity for each individual to select the items they would like. Please join us on a Friday morning to make a difference in our community. The City of Sacramento 50+ Wellness Program presents its 12th Annual Sports for Life! Soccer Tournament for men and women 50+. Divisions for this tournament include men 50+, 55+, 60+ and 65+ as well as women 50+, 55+, 60+ and 65+. It is being held on Saturday and Sunday, April 27-28 at Cherry Island Soccer complex 2429 U Street, Elverta, Sacramento 95628. Typical duties include event set up and take down, athlete check-in and age verification, headquarters assistance, replenishing refreshments for athletes, serving lunch to athletes on Saturday, customer service and other duties as assigned. This event may be used to earn community service hours for high school and college students. Check with your teacher/professor/counselor. Minimum age to volunteer is 16 or 14 if accompanied by a responsible adult. Volunteers MUST be enthusiastic and come prepared to work! Twenty volunteers are needed each day. Come on out, cheer on people, and have some fun! For additional details about volunteering email: fiftypluswellness@cityofsacramento.org or call the Tournament Director at (916) 808-1593. Snowline’s 40th Anniversary Celebration is fast approaching, and the planning committee needs volunteer support. There are six different shifts for people to participate in throughout the day. If you consider yourself an early bird, the set-up shift begins at 11:30am and will end at 2:00pm, leaving plenty of daylight to enjoy the carnival and other daytime festivities. More of a night owl? Assist with the Gala or event take down. Gala participants will receive free dinner and a chance to get gussied up! To ensure event success, all ages, abilities and interests are encouraged and welcome. Please contact the Snowline Volunteer Department at (530)621-7820 if you or someone you know is interested and needs more information. Sacramento Earth Day is all about building community and finding ways to help residents of the Greater Sacramento Region reduce our ecological footprint. Attend the festival for the opportunity to learn about a vast array of methods to live more sustainably. Around 150 organizations and businesses will be exhibiting a multitude of practical information, goods and services that cultivate a healthier, greener way of living. You’ll also find a variety of fun activities to enjoy for the whole family, including live music, interactive educational games and a kids’ area. There will be several food vendors serving a range of plant-based (vegan) cuisine options. We’ll also have electric vehicles to check out. Featuring local art, environmentally-protective products and even valet parking for your bicycle! This is the largest Earth Day celebration in the Sacramento region, and admission is free! The 2019 theme at Sacramento Earth Day is “There’s No Place Like Earth.” Amid the challenges we face in daily life, we must never neglect the beautiful planet on which we live. Our event is a celebration of all that the earth provides us for sustainability, and a call to action to protect these vital resources. The best way to sign up to volunteer is by accessing the Earth Day website https://www.ecosacramento.net/about-us/our-work/events/sacearthday/ scroll down to the bottom and click on volunteers. Choose what option best suits your availability. You can also go straight to the form here https://www.ecosacramento.net/about-us/our-work/events/sacearthday/volunteer/ Minors will need to fill out a waiver form to be signed by the parent/guardian. The waiver form can be found at the bottom of the volunteer page under the section titled "Minors". Thank you and we look forward to seeing you!! Museum volunteers greet visitors to our 7 county museums during regular museum hours, 10 a.m. - 4:00 p.m., 7 days a week. New Volunteer Training helps prepare them for their responsibilities by introducing them to the area's history as well as procedures specific to the individual museums and museum programs. Once they have completed training, volunteers commit to a minimum of 10 hours/month to the museum(s), where they greet guests, give tours and generally assist visitors in their enjoyment of the exhibits. Some also assist with community and education programs, including Living History and Gold Rush Progrrams for elementary school children, Walking Tours of Old Town Auburn, Cemetery Tours and Heritage Trail, a summer-long, county-wide museum event. Help us on the day-of our Chipping Away at Childhood Cancer golf event. This event is a huge fundraiser that funds so much of our ability to help families fighting cancer. Your help on-site during the event would be greatly appreciated! We need help with set-up, passing out food and drinks, driving golf carts, cleaning up, and some other little things in there. It's a fun day overall on the course for volunteers and golfers. I hope you can join us! Why mulch? Mulch saves water and helps minimize weeds! Come join the City of Sacramento’s Water Conservation Team for a FREE Mulch Giveaway Event at the Sacramento Marina, 2 Broadway, Sacramento, 95818 on Saturday, May 4th from 7 am to 12 pm. Between 5-10 Volunteers are needed to help bag, load, and distribute mulch! Gloves, masks, and shovels will be provided by the City of Sacramento to our volunteers. Gain first-hand insights about the City’s water conservation efforts and learn about other ways you can make a positive impact. Volunteers will receive a free T-shirt. Pizza and beverages will be provided at around noon. Minimum age to volunteer is 18. RSVP to lcather@cityofsacramento.org or call (916) 808-5605. For more information, email: engeth@cityofsacramento.org. Sign up and be a part of the mulch mayhem! Our food bank could use your help with picking up food from a distribution site and helping to deliver and distribute it to the residents of White Rock Village. Our monthly food bank is well utilized and we could use some extra hands. Join us and roll up your sleeves to help with pick-up, delivery and stocking the pantry. Help those in need access healthy food. Volunteers like you make it possible! Every 1st Tuesday of the month. Food is picked up from Twin Lakes Food Bank anytime prior to noon and delivered to the distribution site at White Rock Village. Mercy Housing California at White Rock Village is an affordable housing community serving 168 families in El Dorado Hills, California. Help us STAMP OUT HUNGER on May 11! Participate in the largest single-day food drive taking place nation-wide! The time has come for Stamp Out Hunger 2019, the letter carrier's food drive. On Saturday, May 11, make sure to place a bag of groceries near your mailbox for your letter carrier to pick up. Food will be donated to us here at Sacramento Food Bank & Family Services. We are in need of volunteers at post office locations throughout Sacramento County to help unload USPS trucks filled with bags of groceries donated by the community. Volunteer Requirements: minimum age is 10 years old 10-15 must volunteer with a parent/guardian 16-17 may volunteer with a parent signature must be able to work outdoors for the length of the shift, 2:30-8pm; shift may conclude earlier based on demand. Please sign up for your desired location - click here! Through a partnership with Sacramento Food Bank and Family Services, the Hart Center offers a monthly food distribution program called Hart’s Healthy Pantry to low-income seniors. Volunteers are needed the 3rd Wednesday of each month from 10:30 am to 1 pm. Volunteers must be able-bodied and comfortable working outside under an awning on the patio. Volunteers need to be able to lift 30-40 pounds. Volunteers will be helping to distribute pre-packed box of groceries that include foods such as milk, cereal grains, cheese, juice, canned meat, peanut butter, plus fresh fruit, vegetables and bread. Please contact lwarren@cityofsacramento.org (916) 808-1457and /or sstewart@cityofsacramento.org (916) 808-3814 for more information and to apply. Our food bank could use your help with distributing FREE healthy food to the residents of Mercy Village Folsom. Our monthly food bank is well utilized and we could use some extra hands. Join us and roll up your sleeves to help with set up, distribution and breakdown. Help those in need access healthy food. Volunteers like you make it possible! Every 3rd Wednesday 3:45 p.m. - 5:00 p.m. Mercy Housing California at Mercy Village Folsom is an affordable housing community serving 81 families in Folsom, California. Our food bank could use your help! The food bank is heavily utilized, which often makes it difficult for staff to transport, move and distribute alone. Join us and roll up your sleeves to organize and help with food pick-up and delivery. Help those in need access healthy food. Volunteers like you make it possible! Every 3rd Friday of the month. Food is picked up from the Sacramento Food Bank at 8:30/9:00am and delivered to the distribution site at Colonia San Martin. Mercy Housing California at Colonia San Martin is an affordable housing community serving 60 households in Sacramento, California. Walk a Mile in Her Shoes is an international men's march, and WEAVE is Sacramento's sole licensed Walk a Mile event. In order to gain awareness and raise funds for WEAVE and our programs, men will walk one mile in women's high-heeled shoes for the Ninth Annual Walk a Mile in Her Shoes. Women and children can also participate in the walk which will begin at Crocker Park where there will be a festival including a family zone, vendors, an 80's cover band and food trucks. We anticipate 750 walkers this year with over 1500 additional guests to the festival which goes from 11:30am to 3:00pm on Sunday, May 19th. Serve beer and save lives! The 2nd annual Front Street Brewfest is coming on Saturday, June 15th. Volunteers (age 21 and older) are needed to make this event successful. We expect more than 40 beer vendors, plus food trucks, live music, and tons of people supporting the Front Street Animal Shelter! It will be a fun day of sun, food, drink, and great people. Groups and individuals are welcome to volunteer. To sign up or for more information, please contact Janice at FrontStreetVolunteers@cityofsacramento.org. Advocacy volunteers play a vital role in the Alzheimer’s Association efforts to strengthen federal, state, and local policy maker commitment to end Alzheimer’s disease. Volunteers serve as the Alzheimer’s Association primary messengers for their member of Congress. They work directly with our staff to build relationships with their member of Congress through personal contacts, meetings, and other activities. We encourage those with the disease to participate. Individuals in the early stage of Alzheimer's disease and other cognitive impairments are among our most powerful, influential advocates. A person who is living with Alzheimer's and chooses share his/her story not only sends a powerful message to legislators at the state and federal level, but helps remove stigma and negative assumptions associated with Alzheimer's disease. Current and former Alzheimer’s caregivers also make great advocates. We will provide you with all the training and resources to have a successful volunteer experience, plus we have regular committee meetings to keep in touch. To learn more about the Alzheimer's Association advocacy efforts, please click here. Skills needed: Lobbying, public speaking, advocacy, community outreach Advocates are needed throughout the eight county area our office serves: Sacramento, Yolo, Placer, El Dorado, Stanislaus, San Joaquin, Nevada, and Amador. Community Representatives act as the face of the Alzheimer’s Association, representing the organization at community gatherings, such as corporate wellness events and public health fairs. As a Community Representative, your role would be to staff tables at events and share information on our programs and services with visitors. Occasionally, you may be asked to make a short presentation about the organization. Bilingual skills preferred, but not required (Spanish, Mandarin, Cantonese, Vietnamese). Training on Alzheimer's Association mission, services, programs, Alzheimer's disease and dementia, as well as best outreach practices will be provided. Outreach events are ongoing and include opportunities in the evening and on weekends. The Alzheimer's Association offers support groups for family caregivers, as well as specialized groups (e.g., early stage group, frontal temporal lobe dementia caregiver group). Support Group Facilitators lead or co-lead a support group for family members and caregivers seeking assistance, emotional support and information on all topics related to Alzheimer’s disease: care giving from diagnosis through the continuum of care, legal issues, research and advocacy information and opportunities. Support groups are conducted at our office, as well as various locations in our service area (Sacramento, Placer, Yolo, El Dorado, Stanislaus, San Joaquin, Nevada, and Amador counties). Experience with dementia as family caregiver, support group facilitation, or health care professional preferred. Media Relations Volunteers act as the eyes and ears of the Alzheimer’s Association, monitoring local news outlets for opportunities to engage the media in telling stories or sharing information related to the mission of the Alzheimer’s Association. Media Relations Volunteers are needed throughout the 8 county area that the Greater Sacramento office serves: Sacramento, Placer, Yolo, El Dorado, Stanislaus, San Joaquin, Nevada, and Amador. Projects include monitoring local newspapers to identify topics related to the Alzheimer's Association mission; monitor other local media (broadcast, internet, social) and identify ways to engage; identify local media members who report on dementia, Alzheimer's disease, and other relevant topics; under direction of Communications staff, reach out to local reporters with news and information; write or coordinate others to write Letters to the Editor; and assist with placement of calendar items. This would be a great opportunity for a volunteer with a Communications background, or is a current Communications major. The Fab 40’s 5K is an annual event hosted by East Lawn Memorial Park at their location in East Sacramento, benefitting the Alzheimer’s Association. This year's event will be on Saturday, July 27th, 2019. There are numerous activities that volunteers can assist with between the hours of 6:30am-12:30pm, including: Registration (6:30am-9:30am)-Check in participants, register day-of participants, and field questions about the event T-shirt pick up (6:30-9:30am)-Hand out event t-shirts to participants Route monitors (8:00-10:30am)-Ensure safety of and cheer on participants Clean up (11:00am-12:30pm)-Assist with cleaning up the event site Other assignments available between the hours of 6:30-11:00am This is a great opportunity for service groups, Girl Scout troops, Boy Scout troops, company teams, or individuals. Thank you very much for your interest in volunteering at Bristol Hospice. Volunteers are such an important part of our hospice team and make a significant impact on the care we provide to patients and their families. A patient volunteer provides companionship to a patient and their family. This may include reading to the patient, singing, listening to their stories, praying with them, taking them for walks, or just holding their hand while they sleep. Occasionally they may provide respite care for the caregiver or make a cup of soup or tea. They may be asked to run simple errands or do light housekeeping. Their most important role, however, is to be a comforting and supportive presence. After each visit, the volunteer completes a simple clinical note about the visit. An office volunteer might file, produce computer documents, stuff envelopes, or assist with data entry. One may help make phone calls to the bereaved families 3 – 12 months after experiencing their loss. Volunteers typically have 2 patients that are visited 1 - 2 times a month. You can schedule your visits at your convenience. We only ask for a minimum of 8 hours a month of your time for a year. There are also four Saturday training days a year. Thank you very much for your interest in volunteering at Bristol Hospice. Volunteers are such an important part of our hospice team and make a significant impact on the care we provide to patients and their families. A patient volunteer provides companionship to a patient and their family. This may include reading to the patient, singing, listening to their stories, praying with them,taking them for a walk, or just holding their hand while they sleep. Occasionally they may provide respite care for the caregiver or make a cup of soup or tea. They may be asked to run simple errands or do light housekeeping. Their most important role, however, is to be a comforting and supportive presence. After each visit, the volunteer completes a simple clinical note about the visit. An office volunteer might file, produce computer documents, stuff envelopes, or assist with data entry. One may help make phone calls to the bereaved families 3 – 12 months after experiencing their loss. We ask for a minimum of eight (8) hours a month and a one-year committment of our volunteers so that the patients experience continuity and there is time for a friendship to develop. Volunteers are needed to provide companionship for hospice patients in their homes or at a care facility. Bring your special talent and compassionate heart and read or sing to a patient. Spend time visiting or quietly sitting by bedside. Hospice volunteers need to be trained and undergo a background check, TB and drug test ( at no cost to volunteer) At Suncrest it is our mission to provide the highest quality of end of life care and service to our patients and their families. We believe that the needs of the patient and families should be met in a manner that is comforting, personalized, accommodating and dignified. Join the hospice team! Volunteering in our Thrift Store gives you the opportunity to make a difference and meet new people, a chance to use skills you have developed over your lifetime, and satisfaction and fulfillment in helping others. 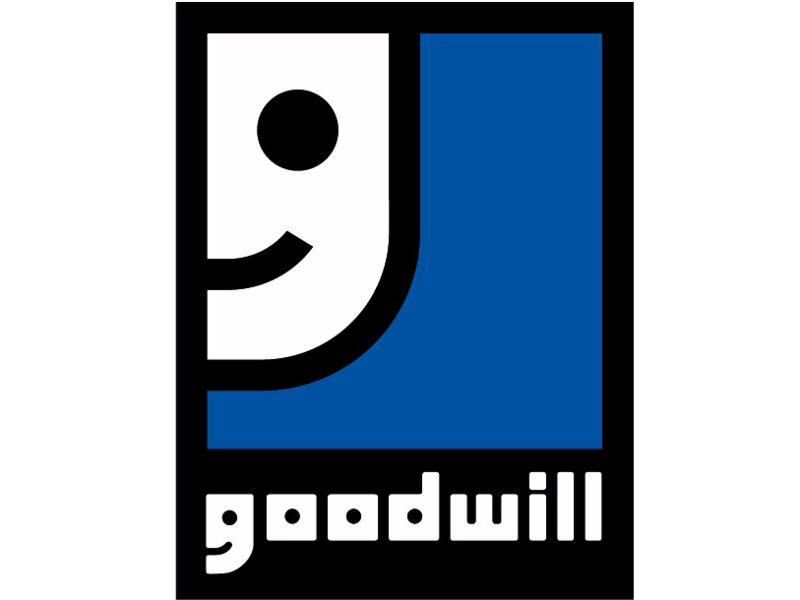 Help assist and ring up customers, sort donations, price inventory while making the thrift store a welcoming environment for all! All proceeds from the thrift store go directly to helping survivors of domestic violence, sexual assault, and human trafficking. Crisis line counselors provide a vital link to those in our community who are in need of immediate assistance by answering the Stand Up Placer crisis phone line. Whether providing referrals and resources to the caller or simply listening to someone who needs to talk, our crisis line counselors are trained to handle the wide variety of calls that come into the crisis line each day. This opportunity requires completion of our 68-hour crisis intervention training. Host a food drive with Yolo Food Bank. Visit https://yolofoodbank.org/host-food-drive/ to fill out an online food drive registration form. This is a great way to start a friendly competition in your classroom, office or place of work. Please be sure to check out the list of most needed items on our website. The American River Conservancy invites the public to celebrate the 150th anniversary of the first Japanese colony in America at the historic location of their 1869 tea and silk farm in Placerville, CA. WakamatsuFest150 is a celebration of 150 years of Japanese-American heritage, arts, and cuisine. The festival will feature Japanese and Japanese-American food, art, music, performances, demonstrations, discussions, competitions, and more. Booths will offer Asian and other foods, information, and merchandise. Entertainment will showcase traditional and modern Japanese-American culture. Docents will guide tours and tell stories about the first Japanese colonists who established their tea and silk farm on this Placerville property. Locals, farmers, historians, and naturalists will share knowledge and experience honoring the past, present, and future of Wakamatsu Farm and surrounding El Dorado County. The festival location is Wakamatsu Farm, the site of the first Japanese Colony in the USA. Don’t miss your chance to enjoy this one-and-only sesquicentennial celebration! Your duties may include: - Determining set up needs and how to accomplish each need - Helping create/look for festival themed decoration including signage, donation boxes, gift baskets, art, decorations and banners. - Identifying, purchase, and set up Japanese themed decoration in the festival colors. - Facilitating and preparing raffle, auction, and sponsor gift baskets, including procuring donations, selling tickets and planning these offerings during the festival. - Creating effective directional signage Requirements - Artistic/design inclinations - Organized with attention to detail Note: Supplies and tools are needed. Donations are welcome. The festival location is Wakamatsu Farm, the site of the first Japanese Colony in the USA. Don’t miss your chance to enjoy this one-and-only sesquicentennial celebration! The Alzheimer's Association offers a 24/7 helpline (800-272-3900) to those in need of Alzheimer's resources and information. All of these calls are routed to our national office in Chicago; if the caller is in our service area, they are forwarded to our office, where staff and volunteers continue the conversation to ensure the caller has the information they need. Helpline Volunteers take phone calls from families seeking support, encouragement, hope, and guidance through the challenges of Alzheimer’s disease and other dementias. Other responsibilities include assembling information packets for Helpline callers and updating the database of Helpline callers. Previous helpline experience preferred, but not required. Are you passionate about philanthropy and fundraising and want to learn another way of doing business? Do you have skills in the realm of resource development that you would like to use in service of the feminine? Do you believe that gratitude, generosity and receptivity are qualities worthy of cultivation? If you answered yes to these questions then this volunteer opportunity is for you! Shakti Rising is seeking seasoned and talented volunteers to work and play in our innovative model of fundraising and resource development. This is not a business as usual in non-profits volunteer opportunity. If you want to be challenged to build a compelling case around work that is life changing, complex and difficult to grasp ( because our work is future oriented) that is centered around the feminine then you’ve found the right spot to volunteer. Intrigued and ready to take the next step?? All the details are below and we highly suggest that you visit our website (www.shaktirising.org) so that you understand more about this magic carpet ride you are about to take. Commitment: 10-15 hour per week with a minimum 1 year commitment (because we will invest in you and want you to invest in us). Required Skills & Qualities: Orients to possibility Interested in research organization, foundations, grants that support Shakti’s work Enjoy asking and raising funds for a cause you believe in Excellent writing skills Works collaboratively on teams and feels belonging when working remotely Desired Skills: Know grant trends Connections to foundations or other grant givers Knowledge of our regions (Tennessee, California, Oregon, New Mexico) Support provided: Ongoing training by local and national SFU staff Ongoing communication and leadership development in Shakti’s model 2-day volunteer training immersion: Bite the Apple connection with other volunteers and staff nationwide Training in Shakti’s unique model and experience in a supportive nonprofit environment. Gain experience in resource development, fundraising, and project management. Opportunity awaits for community building and networking with donors and the Shakti Rising community. www.shaktirising.org Chelsea@shaktirising.org To volunteer with Shakti, please fill out our volunteer application . Thank you, we look forward to hearing from you! Help us educate the community on brain health, Alzheimer's disease and other forms of dementia--become a Community Educator for the Alzheimer's Association! Community Educators are volunteer public speakers who help raise awareness, provide education and expand the reach of Alzheimer's Association programs in the community. Community Educators deliver Alzheimer’s Association Core Curriculum using prepared training materials on topics related to Alzheimer’s disease and other dementias as well as information for individuals and families impacted by the disease. Presentations are based on volunteer’s experience and may include "Healthy Living for your Brain and Body," "Understanding Alzheimer's and Dementia," and "10 Warning Signs of Alzheimer's." Community Educators are asked to observe education programs, co-present with staff, and then lead presentations on their own. Training and resource materials are provided. If you enjoy educating the community, have experience with public speaking, and support the mission of the Alzheimer's Association, then this is the volunteer opportunity for you!